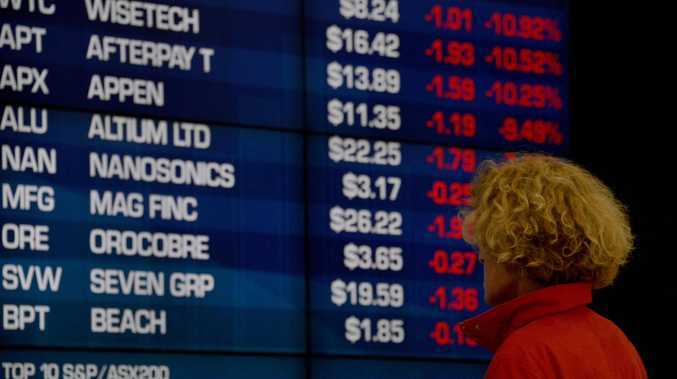 THE Australian share market is poised to extend losses at the open after a volatile overnight session on Wall Street, with sliding oil prices adding to investor jitters over global trade. 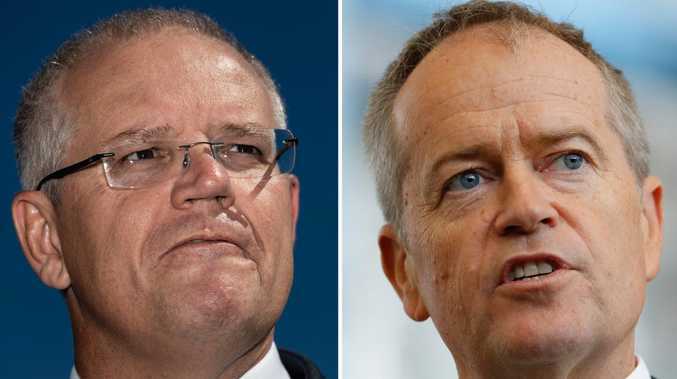 The SPI200 futures contract was down 47 points, or 0.81 per cent, to 5,778.0 at 0700 AEDT on Friday, pointing to another decline open for the ASX, and hot on the heels of the worst day for Australian shares since February. Thursday's trade saw 2.7 per cent wiped off the benchmark ASX 200 to send it to a five-month low. Overnight, Wall Street indexes tumbled for a second straight session their decline as volatility spiked and investors shunned risky investments, and Nasdaq looked like it could confirm a correction. The Dow Jones Industrial Average fell 266.04 points, or 1.04 per cent, to 25,332.7, the S&P 500 lost 33.58 points, or 1.21 per cent, to 2,752.1 and the Nasdaq dropped 15.31 points, or 0.21 per cent, to 7,406.74. The Aussie is buying 71.13 US cents, up from 70.70 US cents at Wednesday's close. US stocks dipped sharply in a volatile afternoon session on Thursday before paring losses in the final hour of trading amid President Donald Trump's continued attacks on the central bank. Big losers in the Dow included JPMorgan Chase, Exxon Mobil, McDonald's, Pfizer and Procter & Gamble. All fell at least 2 per cent. "When we have a recalibration in values, it's not surprising that it takes more than one day," said Art Hogan, chief market strategist at B. Riley FBR. "In these kinds of moves, it usually takes three days to wash out." Most market viewers saw last week's surge in the yield of the 10-year US Treasury bond as the catalyst for the two-day rout, an unexpectedly fast move higher than raised worries of runaway inflation and draconian Federal Reserve interest rate hikes. Trump on Thursday doubled down on criticism of the Fed's rate hike policies, saying the US central bank was "making a big mistake" and being "too aggressive," in a talk show appearance on the Fox network. But Hogan said earnings were also a source of worry because they could showcase the consequences of Trump's trade wars for US companies, from raising costs of products to forcing enterprises to change supply chains. "The larger concerns we have are about what companies have to say about their concerns about the US and China," Hogan said.